Seller bought the boat to make the great loop and made it halfway before health problems forced them to cancel trip. She was well outfitted for the voyage and has been kept in good condition. Some exterior cosmetic issues, but a nice boat. Stock #164203 Meticulously Maintained, Many New options. 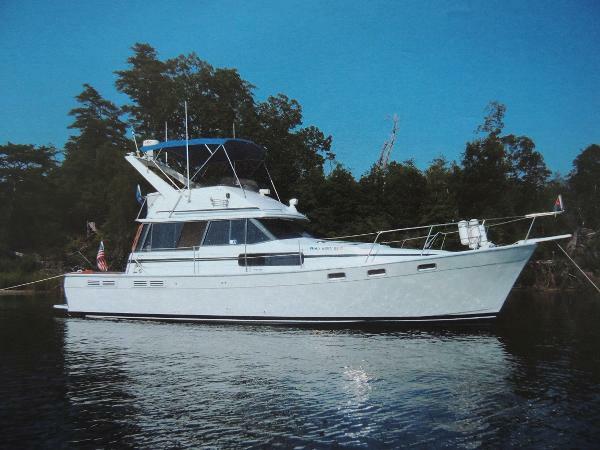 If you are in the market for a motoryacht, look no further than this 1987 Bayliner 3870, priced right at $44,500 (offers encouraged). This vessel is located in Savannah, Georgia and is in good condition. She is also equipped with twin Hino engines. Boat is currently dry docked and will not be going back into the water this season. 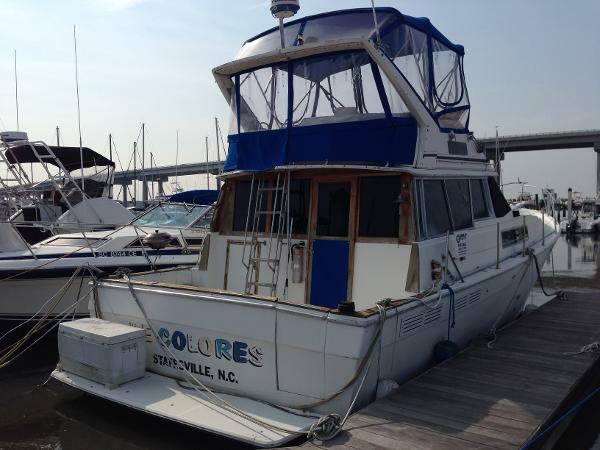 Boat is a one owner boat that will need some cleaning and minor repairs and the seller is willing to negotiate a fair selling price with a potential buyer. 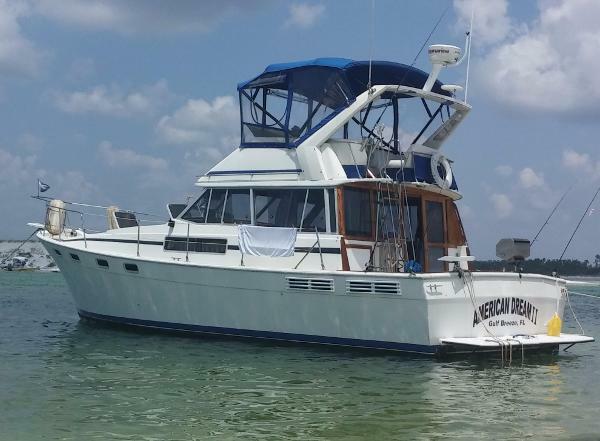 Stock #032872 A popular economical Motor Yacht Powered by twin naturaly asperated Hino Diesels A original owner boat If you are in the market for a motoryacht, look no further than this 1988 Bayliner 3870, just reduced to $49,500 (offers encouraged). 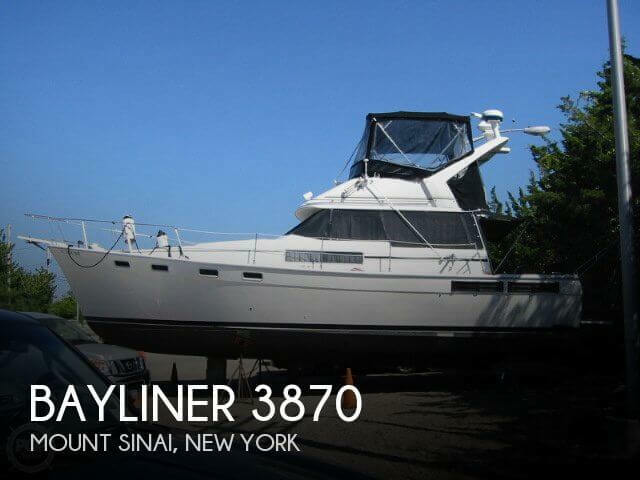 This vessel is located in Mount Sinai, New York and is in decent condition. She is also equipped with twin Hino engines that have 1,630 hours. 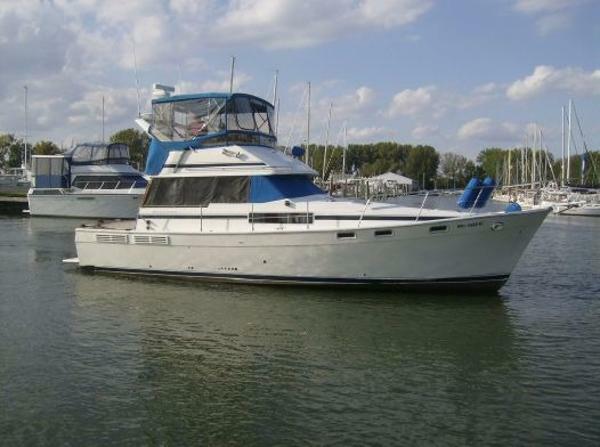 1988 Bayliner 3870 Motoryacht The "Goodie Two Screws" has been a great family cruiser for her owner for many years. Perfect for the great loop. Loaded with features and updates. Seller is getting out of boating. 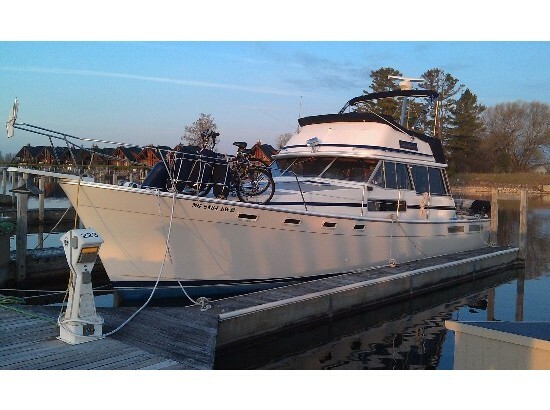 Could also be a great live aboard. Twin 175HP diesels, Natural aspirated engines, 6 Cylinders each. Very fuel efficient, 1574 total running hours. 8KW Westerbeke Diesel Generator, Newer digital air/heat unit, Raytheon Radar and VHF, Auto Pilot, Depth finder. Ready to run for the next owner!! All safety items will stay on the vessel. 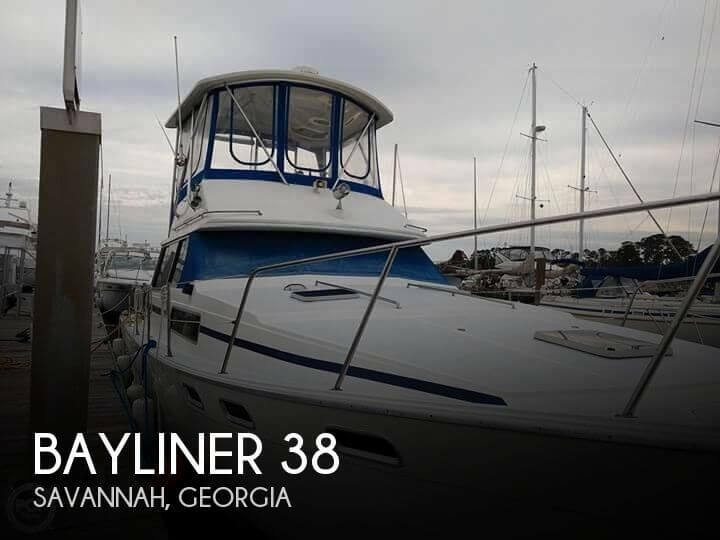 1987 Bayliner 3870 The classic lines and practical general use of this Bayliner 3870 has made it one of the most popular models in Bayliner history. The two double cabins, each with private heads, makes for comfortable travel with two couples aboard. The semi-displacement hull provides for a wide variety of efficient speeds. The main saloon features a large U=shaped dining area that will convert to double sleeping. Large windows for all-around excellent light and visibility. There is an ample cockpit with a transom door for easy entrance. The flybridge offers a second entertainment area and with the full enclosure offers comfort for year around cruising. This vessel has been boathouse-kept in recent years and so the exterior surfaces are in good shape for its age. The seller invites offers for consideration. These boat details are subject to contract. Note: Offers on the asking price may be considered. 1985 Bayliner 3870 Explorer,This is a very nice fresh water 3870 Bayliner Explorer Motor Yacht powered by twin Chrysler diesels. The boat has a lot of room for the money. The interior has the lower station helm and plenty of dining area with a panoramic outside view. The galley has room for two people to work, new refrigerator and hot water heater installed two years ago. The forward cabin and mid cabin have separate heads with a shared tub and shower. Both cabins have new 10 memory foam mattress. Both cabins are carpeted, new Plastec flooring has been installed in salon and galley.The bridge has plenty of seating for guests while the skipper pilots the boat from the upper helm. Year 1985Length 38"7"Engine/Fuel type. 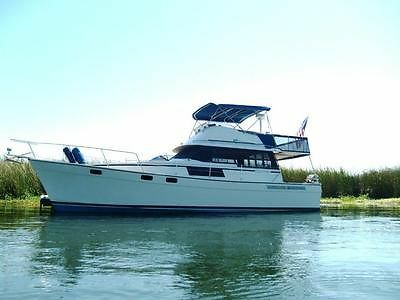 Twin/Diesel Hull material - fiberglass Fuel Capacity - 304 galFresh water- 90 galHolding tank- 40 galWe have truly enjoyed and loved the boat. Great memories traveling the North Channel, but we must move on. We also have a 40'slip for sale at Duncan Bay Boat Club in Cheboygan. Slip $9500. 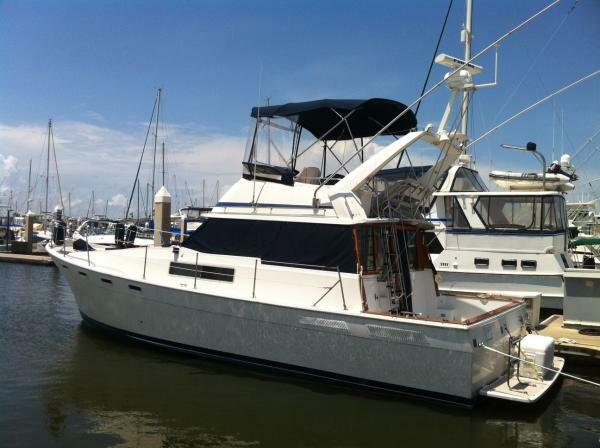 Boat $41500. obo on boat. 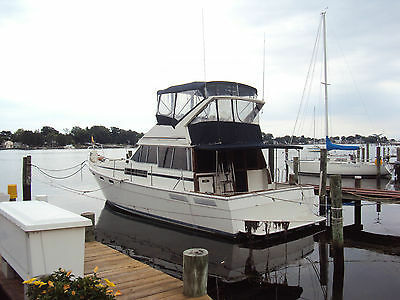 1986 Bayliner 3870 Keep under cover since new. 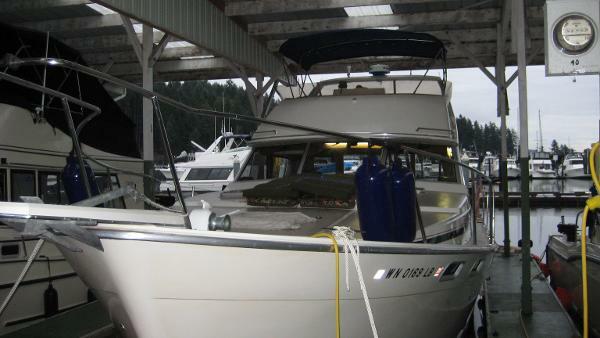 This 2 owner Bayliner 3870 is in great condition. A must see. 1985 Bayliner 3870 New Cummins Cummins 220hp 6BT's new in 2008 with 300 hrs, 2 stateroom layout, sleeps 6 comfortably, great electronics, updated interior, lower helm, much more. 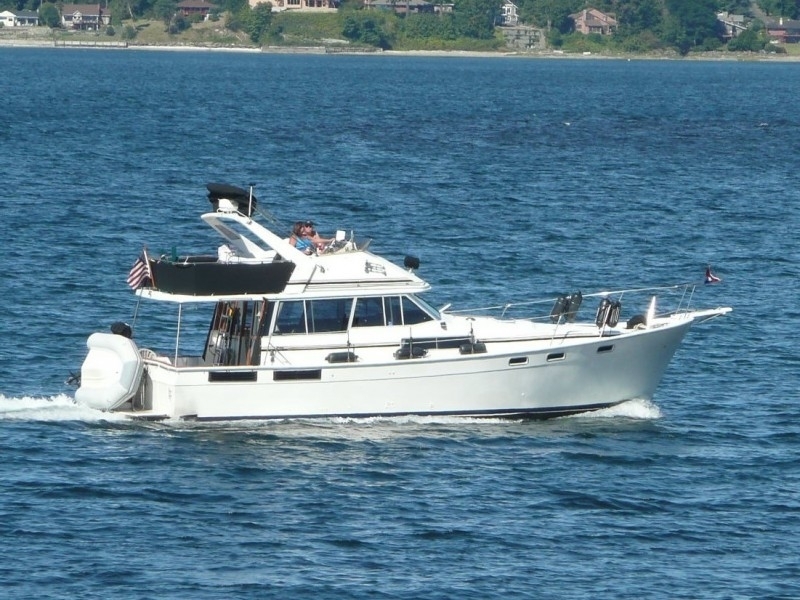 This boat is a great liveaboard that can be used for both fishing and cruising. Exceptionally well maintained with too many updates to list. OFFERS/TRADES!!! 1987 Bayliner 3870 Cockpit Motoryacht This is a good example of this great DIESEL- powered model. With two staterooms, two heads, Air conditioning, and all the comforts of home, the interior will accommodate a large crew comfortably. With 16-mile radar, outriggers, down riggers, large cockpit, and dependable Hino diesels, she is poised to make many successful runs offshore. Come see this great vessel today! New: -Garmin gps/plotter/fishfinder -carpet -canvas -ice maker And much more!